Our journal topic for ELA was to select one of our journal entries from the last few week and post it in our blog. I chose the one about describing an object or a person. Select an object in this classroom. Describe it using the most specific details possible… I mean every little detail about this object. And yes, it could be a person. This person has golden hair with purple shoes with neon shoelaces and a white bottom shoe. This person has light brown eyes. This person has a rainbow pencil case and has a red watch. This person is in Mr.J’s advisory, the science teacher. This person is very fun to annoy Mr.J with. Can you guess who it is? This person has purple and turquoise shoes. This person has a black and pink watch, this person has a cat shaped pencil case. This person has bangs with medium long hair. This person has a yellow band in her right hand. This person is in the wonderful Mrs.Coffey’s advisory, the ELA teacher. Can you guess who it is? This person has red and black hair. This person is also in Mr.J’s advisory, the science teacher. This person has black eyes. This person has a dark blue watch. This person has a lot of shoes. Can you guess who it is? Rhinoceros are often a abbreviation to Rhinos, but the big problem here is that they are in big trouble right now! Adult rhinos have no predators except for human in the wild. More and more rhinos are being poached each year for their horns. 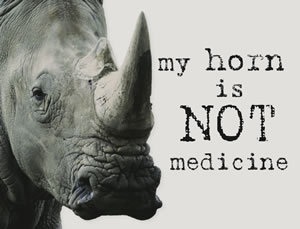 The rhinos are being poached for their horn because the poachers think that there are medicine in them but scientific research states that there are no medicine in their horns. The rhinos are a big part of our ecosystem they consume the grass in the wild which reduces our chance of getting a forest fire in a hot season. Almost 90% of all rhino horns that have been poached are being sent to Vietnam, we have to make a move for the rhinos. You know that we have to stand up right? Well everyone can and so can you! Yes I mean you! The rhinos can’t choose if they get poached but you can help them. Stand up for the right thing, make the right choice, and save the rhino’s life. If poachers take everything from the animals such as tusks, horns, skin, and bones. They might realize that money can not bring back the animals nor the wildlife. I wanna see if they do. I am currently reading a book called Middle School: My Brother Is A Big, Fat Liar by James Paterson and Lisa Papademetriou. It is about a girl named Georgia Khatchadorian who has a brother named Rafe Khatchadorian. She tries to fit in with the school but everywhere she goes her trouble making brother did something horrible. I am really enjoying this book because it kind of relates with my sister who is younger but still very annoying. I selected this book because in Singapore I was about to buy this book in the bookstore but instead I bought a book called Breathing Room, which is also a great book. I predict that her middle school life will get better and not everyone will hate her including her eachers. I think this book is a great book to read for people who like a chapter books with a lot of drawings. 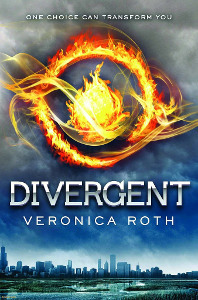 I am currently reading a book called Divergent, which is the first book of it’s series. I am so far really enjoying it because it is a really interesting book. I selected this book at the first place because all my friends that have read the book has agreed that it is an awesome book. I also am really enjoying this book because it is a fantasy book and I mostly enjoy reading fantasy book that have been recommended. I think that this book especially caught my eye in my shelf because it seemed like there was going to be a big adventure during the story and because a quote on the box I bought with all of the other books caught my eye. The quote was “One choice can transform you” and the quote “One choice can define you” and last but certainly not the least “One choice can destroy you”.